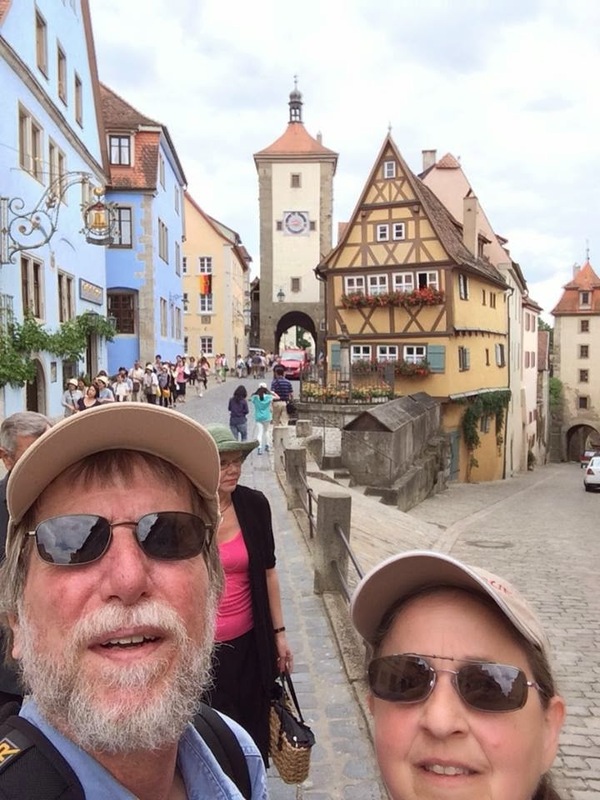 Family Trove: Woe to the Man Shopping in Rothenburg! Ray and I have done a lot of travelling since May. I am not sure how to write about all of it, because, there was just too much. I wrote about airports and that seemed to work...to write about topics. Today I will write about souvenirs. I used to agonize during each vacation about what kinds of souvenirs to bring home to people. For someone who does not like to shop...that could ruin a trip. So now, I just don't buy souvenirs unless something just pops out at me. For me, the pictures we take are our souvenirs...bringing back memories of what we did. One problem I have with this theory is this. 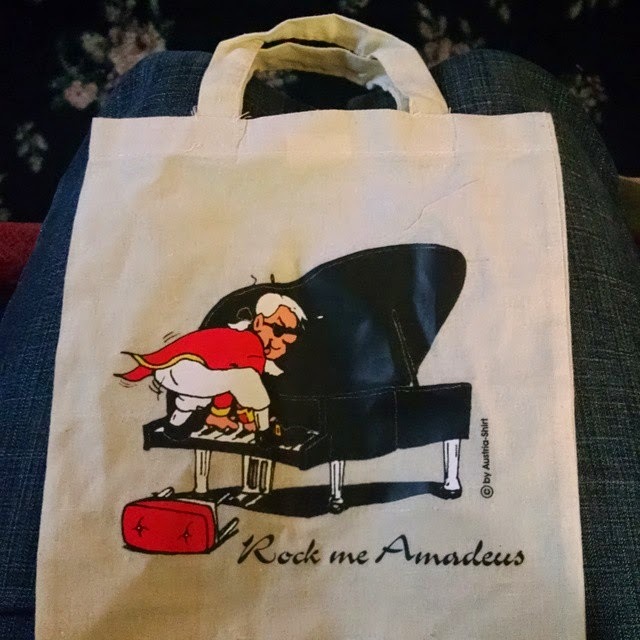 I saw something I thought my niece, Audrey, might like. I bought that...but then, I must get something for Cooper, Abby and Cooper. I searched at each little hamlet we visited. Hmmm....I don't think Jackson's parents would want that cute armor set with swords. That music box looks perfect for Abby...but costs 50 times what I got Audrey. And Cooper likes Dr. Who...but we are not in London! Maybe I shouldn't have gotten Audrey that simple little bag. So what did I do? Caved in and bought t-shirts, and two tiny bags for Jackson's and Abby's shirts. I didn't even know the correct sizes, so apologize for that if they did not fit. I did see one funny incident in Rothenburg, Germany. What a cool place. I felt like I was visiting a medieval town. The cobblestone streets were lined with quaint shops and homes. I will have to write more about Rothenburg in a later post. This incident happened in the middle of a narrow street of shops. People were swarming from shop to shop, crossing the street with no regard to cars. In fact, I don't remember seeing a car on that street, so maybe it was a lane between shops. While I was walking, I saw a woman shove her oversized, flowery purse into her husband's arms, and then rushed into a cuckoo clock shop. He stood there, holding this purse, looking a bit embarrassed and uncomfortable. Then I heard him say, loudly enough for passersby to hear, "Wo is meine Frau?" Which means, 'Where is my wife?' He knew where she was, but seemed to think that if he said that, everyone would know that the purse belonged to his Frau. He kept repeating it. Ray even heard it, but he had not seen the wife leaving the scene. I didn't take time to stay to see his relief when his wife returned to retrieve her purse, but I am sure he was. The Austrian artist Rosina Wachtmeister is known for her cat paintings...and this is an example. I loved our trip to Rothenberg. Your description brings me back to the moments of exploring with my 7 year old while the rest of our party went to the museum on torture. I was anxious because I didn't speak German, but my daughter was so carefree and took the lead in and out of stores. I love the way you spin your stories! I have given up souvenirs too, unless there is a necklace that relates to the area. They are never that expensive, but it makes me smile to put them on and remember the trip. Do you suppose the lady gave her purse to her husband so she wouldn't be able to buy anything in that shop? Love the funny things that happen. 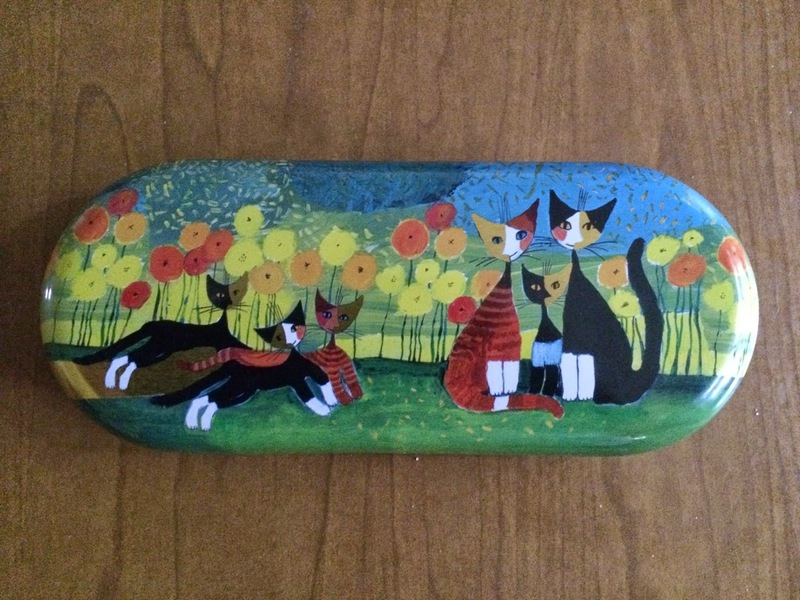 Love the eyeglass case...so foes Kathy. Although we don 't travel much, we do not shop for others. Is seems like it takes too much time and cuts into our enjoying ourselves. We do usually pick up at one special thing for each of us. There is only so much room in the house. Cute souvenirs and an adorable town you're pictured in. Sounds like you've had so many adventures in the past four months! What a fun contest! I love your eyeglass case. It's so very, very whimsical.